The day after Thanksgiving has arrived. For some, it involves braving the weather and hitting the stores in search of that amazing deal. For others, it revolves around trying to find something for those pesky relatives to do. But one thing all of us can relate to is the turkey leftover predicament. So, as you try to eat another turkey sandwich and gobble up the cranberries, it seems appropriate to indulge in a cinematic feast as well. 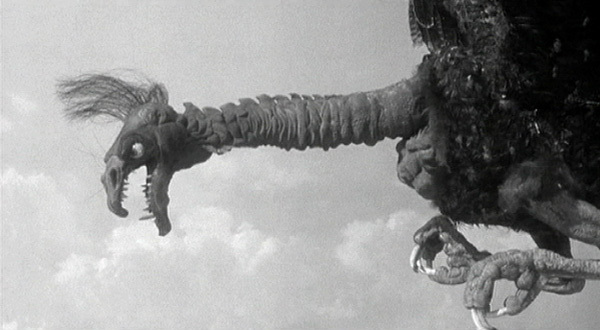 And when it comes to turkeys, The Giant Claw (1957) is near the top of the list. Most filmmakers start off with a good idea. They might have access to a talented actor or maybe a great script but somewhere along the way, it all starts to fall apart. In many cases, the trouble comes down to special effects. What looks great on paper doesn’t always match up with the budget and this is exactly what happened to The Giant Claw. Producer Sam Katzman, along with writers Paul Gangelin and Samuel Newman, had what looked to a typical giant monster flick of the 50s. According to Robert Osbourne of Turner Classic Movies, Katzman had hoped for the talents of Ray Harryhausen but Columbia Pictures had other plans. Unfortunately, Katzman had to resort to using a puppet maker south of the border. And this is where the project definitely went south as well. The story behind The Giant Claw is actually good. Jeff Morrow (The Creature Walks Among Us, Kronos) stars as pilot Mitch MacAfee who is working with the Air Force at the North Pole. While on a test flight, he spots what he believes to be an unidentified flying object. He’s laughed off the base but once he and his mathematician girlfriend Sally Caldwell (Mara Corday, Tarantula) return to New York, more reports start coming in about aircraft under attack by UFOs. However, the threat is not flying saucers but a giant buzzard-like bird as big as a battleship. As the story unfolds, it’s identified as coming from an anti-matter galaxy and is nesting. With the threat of more giant birds on the loose and the military being unable to stop it, it seems like Mitch and another scientist may be the only hope to stop the beast and save the world. The Giant Claw definitely had some very cool and unique ideas. There was also a talented cast as Jeff Morrow was a strong leading male character. Oh sure, there were some very cheesy moments in the script but let’s be honest, that is more a product of the day rather than an indicator of bad writing. In fact, the concept of anti-matter as a plot device was cutting edge for the time. It really all comes down to the big bird. Plain and simple, it looks awful. As Hollywood legend has it, the cast had no idea what the bird would look like as it was added after their scenes were filmed. They didn’t see it until the premiere and when it finally makes its’ debut, theater audiences quickly turned the film from a sci-fi flick to a comedy. Jeff Morrow was so embarrassed, he reportedly wanted to flee the theater and hoped nobody recognized him. 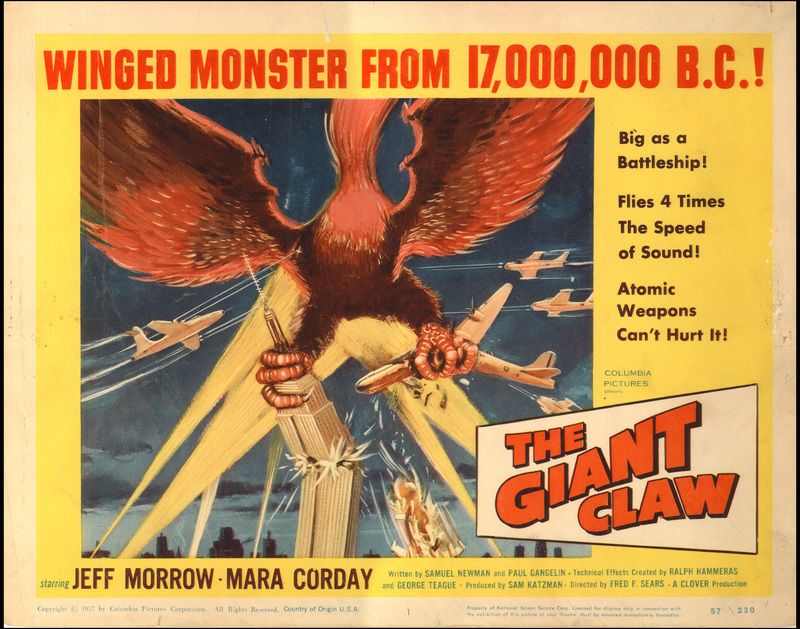 Over the years, The Giant Claw has achieved cult film status as it made the rounds on the bootleg video market until it finally saw an official release as part of the Icons of Horror Collection – Sam Katzman. It also is part of the Sci-Fi Creature Classics DVD set. 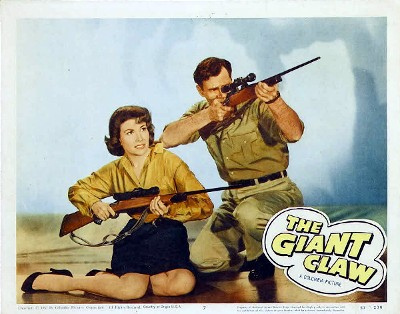 Either way, the rest of the films in these sets are well worth your time but The Giant Claw is currently on YouTube if you’d rather make this a one and done viewing. Personally, it’s a guilty pleasure and one I recommend it for the sheer fun of seeing everyone act so serious about what appears to be a reject from Turkey Day. 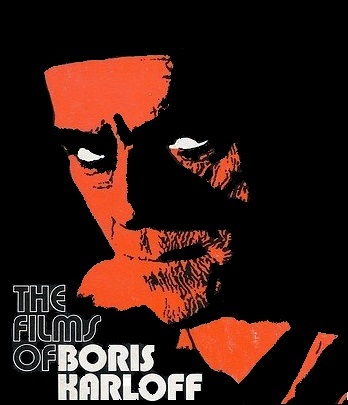 My first exposure to Boris Karloff came on a Friday night in the mid-seventies. 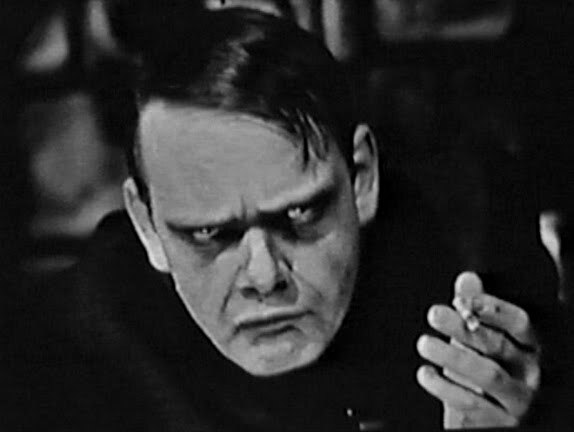 Our local ABC affiliate was playing Frankenstein (1931). I was instantly hooked and became a monster movie kid for life. While I certainly love Bela Lugosi, my favorite by far has always been Boris Karloff. Over the last 14 months, I‘ve revisited most of his films. 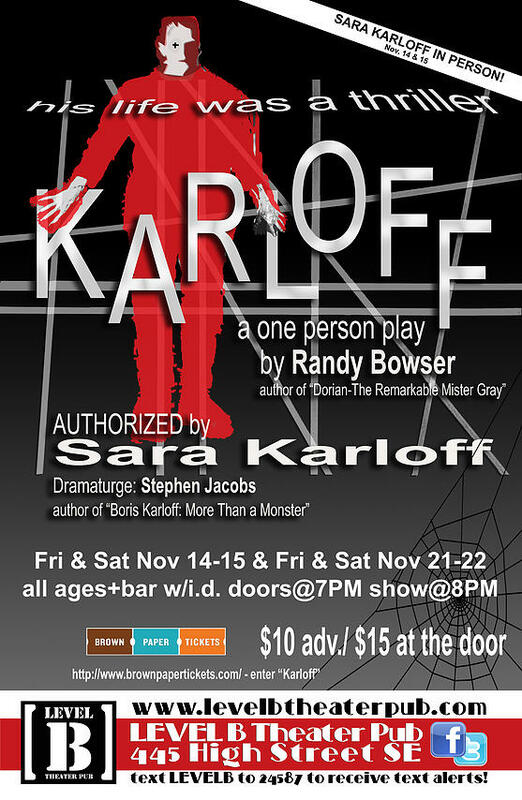 However, the icing on the cinematic cake came this past weekend when I had the rare opportunity to sit down and enter the world of KARLOFF, a one person play by Randy Bowser. Now, on the anniversary of the birth of William Henry Pratt, I want to share this experience with you. I first became aware of this stage performance in 2014 courtesy of my friend Derek M. Koch and his Monster Kid Radio podcast. 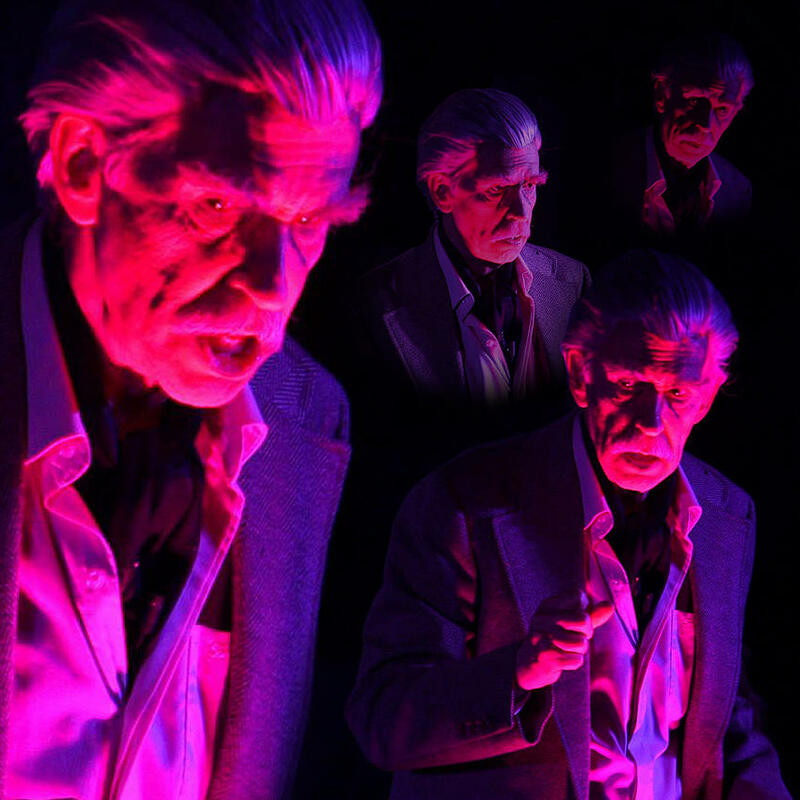 I became excited over the news that a gentleman by the name of Randy Bowser was doing a play on the life of Boris Karloff. Then, my excitement quickly became envy over the people who could see the show, when I discovered the play was for four nights only in Salem. Oregon – a location far from my location in Kansas City. For the last year, I have eagerly followed Randy and his quest to bring this play to life in other cities with other actors performing the role. Then, through a random posting on Facebook, I was given the chance I had longed for over the last year. Randy had decided to make a very limited number of DVDs available in an effort to continue funding his dream. I quickly acquired a copy and to say that this is now one of the most cherished pieces in my personal home video library is a vast understatement. Now, first and foremost, please understand that I cannot review KARLOFF. It is a stage performance and the only way to properly do so would have been to attend in person. However, this professional DVD presentation allowed me to take a glimpse into what the experience would have been like. From the opening menu of the DVD, I knew I was in for something special. Randy’s love and dedication to this project is evident in every second of his performance. 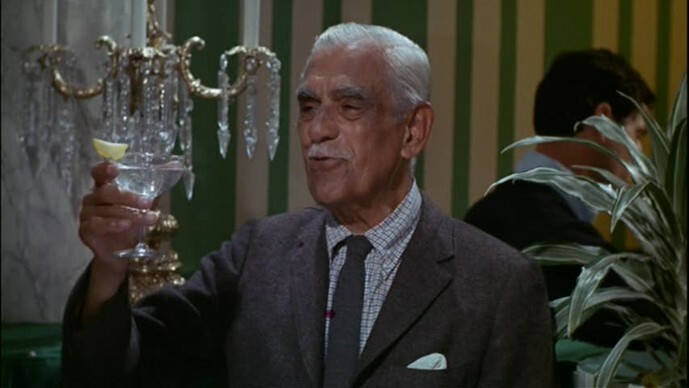 From the twinkle in his eye to the changing tones of his voice to the subtle physical decline as Karloff gets older, Randy gives an amazing and most believable performance. The sparse stage presentation worked incredibly well. The colorful lighting reminded me of a Mario Bava film. However, I could also see how a grander production would not take away from the essence of the play. 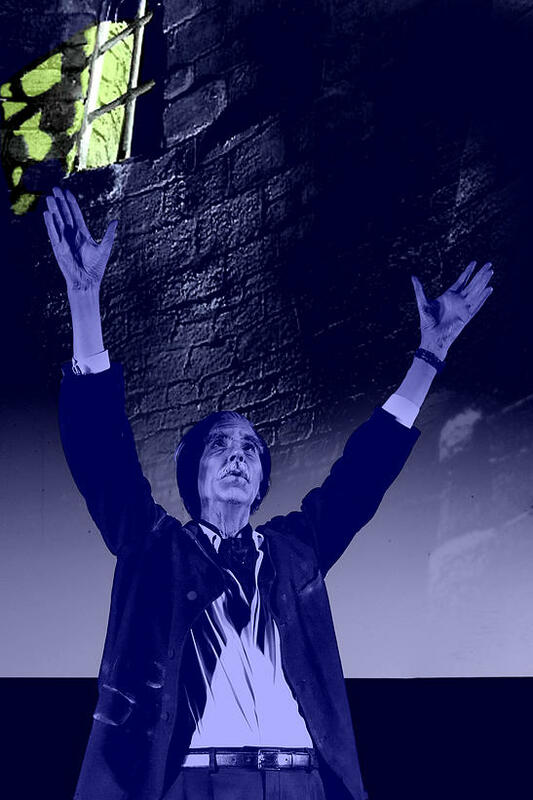 Randy has written an amazing tale on the life of Boris Karloff. He doesn’t cover every single film, nor should he, but he offers highlights from his journey in Hollywood, Broadway and beyond. There are props to help enhance the various segments, such as a mad scientist wig or the furry Monster jacket. But most importantly, what Randy does not give us is a Karloff impersonation. That was a vital key to making this performance a dramatic effort rather than simply a cartoonish homage. Yes, there are subtle moments where you can hear the Karloff lisp but it’s always done lovingly and never in jest. Randy Bowser did extensive research for this project and received some invaluable input from Stephen Jacobs, author of the definitive Karloff biography, Boris Karloff: More Than a Monster. He also used Dear Boris by Cynthia Lindsey for some source material. Most importantly, he received an official endorsement from Sara Karloff, the daughter of Boris. Sara was present for both nights of the opening weekend performances. A wonderful Q&A was included on the DVD along with some fun pre-show moments. Sara stated that Randy nailed it and I wholeheartedly agree. Now, the journey must continue as KARLOFF moves to the next stage. Randy was the writer and director but he never envisioned himself in the lead role. You’d never know it from how he so smoothly presented everything on stage, from the first crackle of thunder to the encore performance of Monster Mash. But Randy envisions actors from around the globe assuming the role of Karloff in their own performances. The first of these has finally been announced with actor Charles Prokopp playing Boris at The Temple of Music and Art in Tucson, Arizona in October 2016. If you have the opportunity, I strongly encourage you attend to support Randy’s dream. I want to thank Randy for this tremendous opportunity and I will continue to follow the play’s progress with hopes of seeing it one day live in Kansas City. 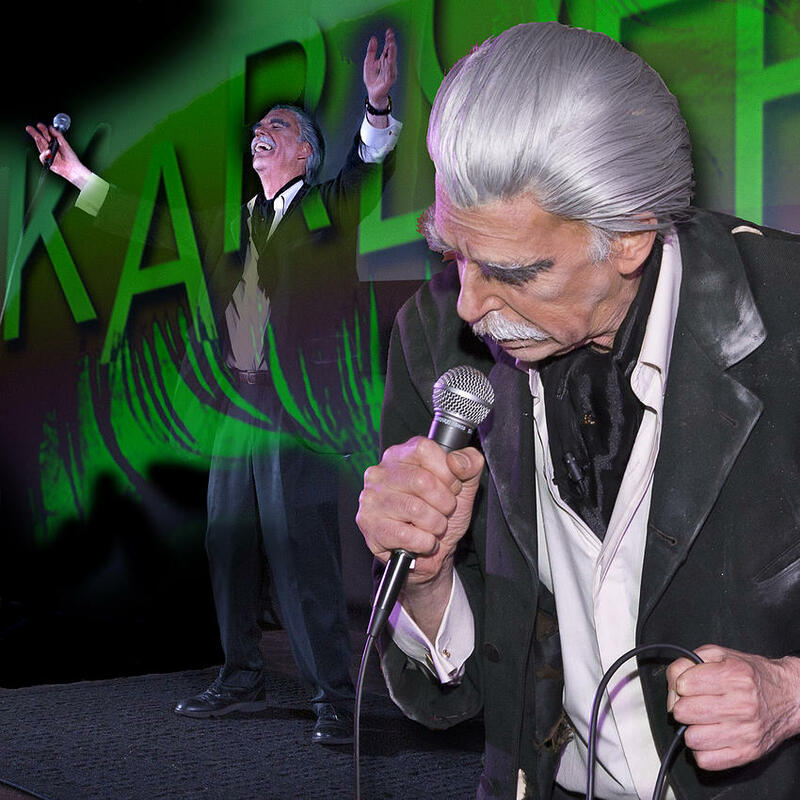 Until then, please visit the main website for KARLOFF and offer your own support. Then, if you’re hungry for more, check out episodes 119 and 120 of the Monster Kid Radio podcast where Derek interviews Randy, as well as his great interview with Sara Karloff. KARLOFF is an amazing piece of work and I cannot highly recommend it enough. It’s a loving tribute made for the monster kid in all of us. In October 2014, I celebrated the 31 Days of Halloween with a month-long tribute to the legendary Boris Karloff. I covered the biggest of his films with a few exceptions, most of which had been reviewed here previously. 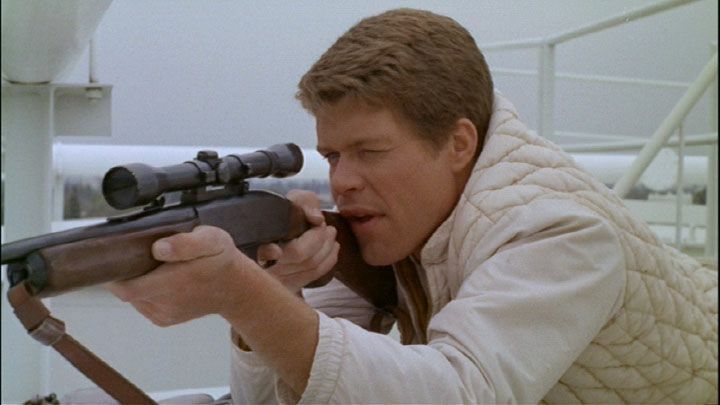 However, one film that I intentionally left off the list was Targets (1968). This movie has always been an oddity to me for several reasons. Unarguably, it is one of the best films Karloff made and for this to come in the last years of his life, it is an amazing testament to the quality of actor he truly was. And while I do enjoy the movie, I must admit that I’ve always preferred to see Karloff in more traditional horror film settings. Whether he’s a monster, a killer or a mad scientist, that is generally how I prefer to see him. The biggest reason this movie has always troubled me a little is that it is set in the “modern” world. Unfortunately, the concept of a young man mentally snapping and being ignored by those around him is still far too common in our society today. A sniper killing people is sadly just as relevant today as it was in 1968. In previous viewings, I’ve struggled with the enjoyment factor of Targets. However, this time my eyes were opened a little due to some research into the making of this film. Boris Karloff is essentially playing himself in the guise of aging horror film legend Byron Orlok. He’s reached a point where he views himself as a dinosaur in a young man’s world. He’s made one last film, The Terror, and now he’s ready to retire. However, there is a planned appearance at a local drive-in and, although he initially declines the offer, he agrees to appear, more so out of loyalty to his staff. Meanwhile, we are following the story of Vietnam War veteran Bobby Thompson (Tim O’Kelly). He is gathering guns and weapons while on the verge of a mental collapse. The reasons are never clearly defined but are implied that it could be from the war or maybe from having his pleas for help being ignored. 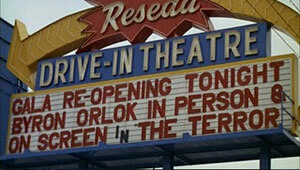 When he does snap, he goes on a killing spree, first on a highway then at the same drive-in Byron Orlok is appearing. Karloff was supposedly so overjoyed with the quality of the script that he offered to work for free. He owed two days of work to Roger Corman and eventually worked another three days. His role was initially small, only about 20 minutes of screen time in a 90-minute movie. However, it was expanded to about 30 minutes due to Karloff’s commitment to the story. Despite this, Karloff’s role in the film would be greatly diminished in the trailers. Young filmmaker Peter Bogdanovich was studying under Roger Corman when he was offered the opportunity to direct Targets. In fact, he would later state that he learned more with Corman than in any other time of his career. He had previously directed Voyage to the Planet of Prehistoric Women (1968) under the name of Derek Thomas, so this would essentially be his debut. It was a labor of love as he also produced and edited the film in addition to writing the story with his wife Polly Platt and the script with Samuel Fuller. It was the start of the most prolific period of his career. He followed this with Directed by John Ford (1971), The Last Picture Show (1971), What’s Up, Doc? (1972) and Paper Moon (1973). According to Hollywood legend, his wife Polly was greatly responsible for his early success, which upon their divorce, was never duplicated. Some of the subtle visuals, such as the cartoonish and claustrophobic feel of Bobby’s home, and little in-jokes, such as Bobby writing out a check to Boris Karloff at the gun shop, are symbolic of Bogdanovich’s passion for the film and his cinematic skill at the time. While including scenes from The Terror (1963) was Corman’s idea, the inclusion of the early Karloff flick The Criminal Code (1931) was Bogdanovich’s. There are two key highlights of the film for Karloff fans. 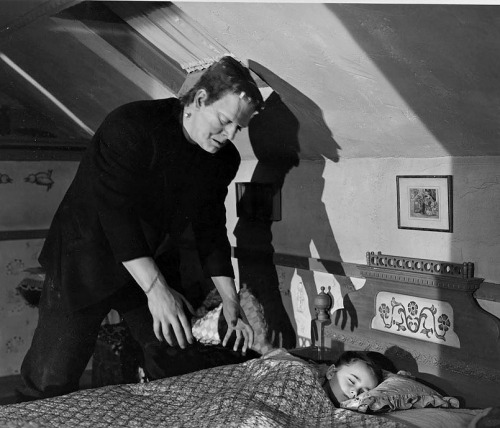 The first occurs when Orlok recites the horror story Appointment in Samarra. It was done in one take without cue cards. It was placed in the film due in large part to Karloff’s recital of How the Grinch Stole Christmas. It also harkens back to his work on a 1950s radio program called The Frightened. Many of these are now available on archive.org. Another comes in the final moments of the film when Orlok challenges Bobby, ultimately disarming and defeating him with a backhanded smack. 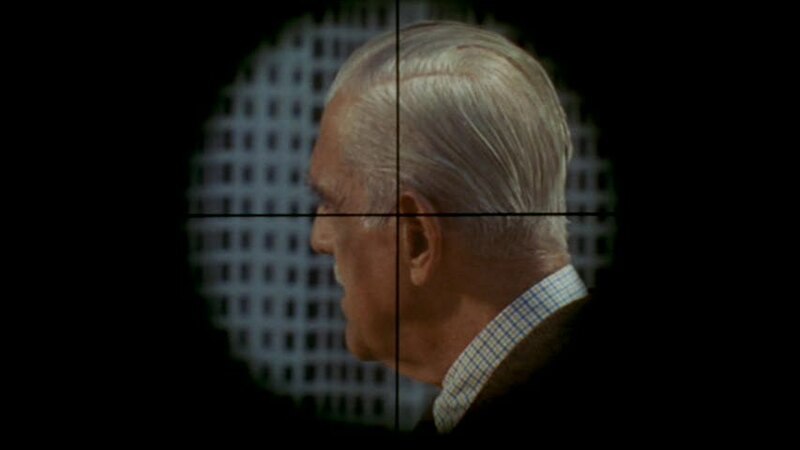 Targets was filmed in late 1967 under the working title of Before I Die but not released until August of 1968, after the assassinations of Martin Luther King and Bobby Kennedy. While American International Pictures expressed interest, Bogdanovich held out for a major studio, which paid off when Paramount purchased the distribution rights. Due to the very low budget, the film turned a profit despite a disappointing box office. Targets was a product of a turbulent time and Orlok’s retirement was very symbolic of the changing tones in horror films. While Orlok did resemble Karloff in many ways, Karloff never desired retirement. He continued to work until months before his death on Feb. 2, 1969. While Karloff was alive to see the film released, he sadly did not get to see the film become widely recognized as a glowing achievement at the end of his illustrious career. Be sure to check out the trailer on YouTube and then head on over to Amazon as this movie should be in your collection. I’ve learned to appreciate the film much more upon this viewing. While I still can’t rank it in my personal top ten, I can recognize it now as one of Karloff’s best. Next time, I continue my revisit with Boris Karloff with a very special treat. No spoilers, just plan on coming back for more on this true Hollywood legend. Lugosi has been put back to rest, so it’s time to stir things up with some random reviews from the ever-growing stack of films to watch. This week on episode 428 of the Dread Media podcast, I take a look at the rare and seldom discussed made-for-TV movie from 1972 called The People. Kim Darby and William Shatner head up the cast on this flick based on the writings of Zenna Henderson. 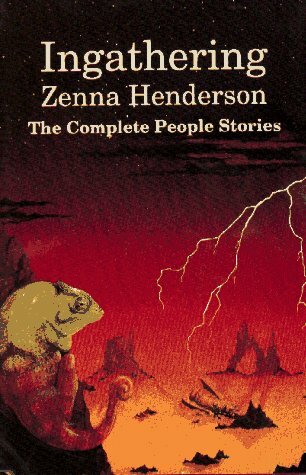 Check out the movie on YouTube and head over to Amazon to add Ingathering: The Complete People Stories of Zenna Henderson to your wish list. Then, sit back and listen to Dread Media. As always, tell them Monster Movie Kid sent you! The moment is now upon us! The latest issues of The Basement Sublet of Horror Magazine are now available for everyone to enjoy on your reading list and add to your personal monster mag collection. Issues 3 and 4 are available from Indy Planet for either $1.49 in digital format or $5.00 for a print-on-demand copy. Issue 3 is an amazing piece of work that offers up a tribute to Tom Leahy. You’ll find out more about the man behind The Host, one of the original television horror hosts of the 1950s, and Major Astro, a space-age kiddie show host, in articles by Roger Hill and yours truly. 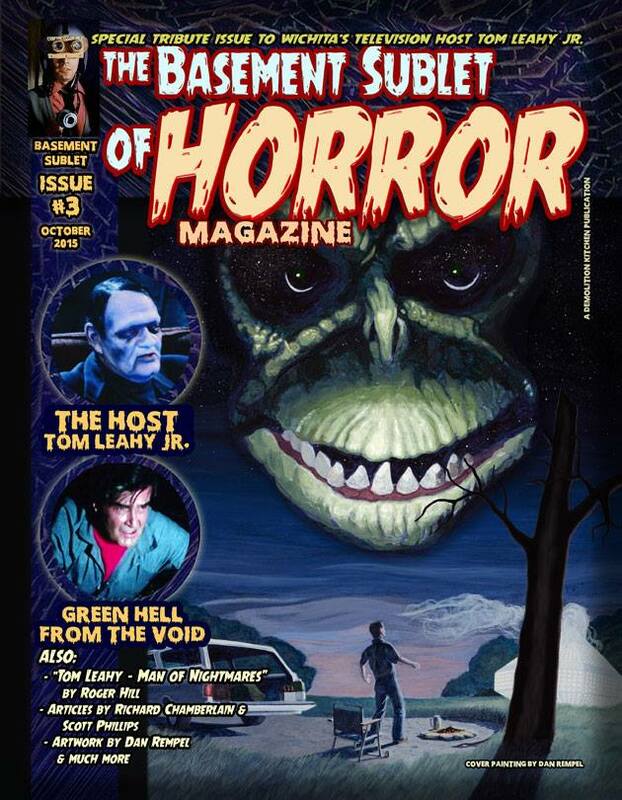 You can read about his previously lost late 1960s abandoned television pilot, Green Hell from the Void, along with reading two great short stories written by Tom himself. And the cover artwork by Dan Rempel is worth it alone! Issue 4 has an interview with artist Bradley Beard, who also has his great rendition of Mr. Barlow from Salem’s Lot gracing the cover. Dave Toplikar has written a great piece on true Kansas UFO stories and Boris Karloff fans will enjoy the first part of my guide to his best films. Joel Sanderson aka Gunther Dedmund has really outdone himself with these two issues and I cannot highly recommend them enough. Joel and I met many great fans at the recent 10th Annual Freestate Comicon and hope to meet more in the future. Joel is already working on issue 5 and the artwork for issue 6 from a local Kansas City artist is really going to be impressive. For now, go to Indy Planet to check out issue 3 and issue 4. Then, be sure to check out the latest from the Basement Sublet of Horror archives at the Basement’s main website and over at archive.org. You can also like the Facebook page to get all of the latest updates. Back on July 6, my very first review for the Dread Media podcast was made available. In that week’s episode, I reviewed Tales of Dracula (2015). This film from fellow monster kid Joe Demuro was a true labor of love. However, it wasn’t until I was able to have a conversation with Joe that I truly understood the obstacles they faced during production. I truly appreciate the film even more and what they had hoped to accomplish. Now, Joe and the gang are ready to do it again. 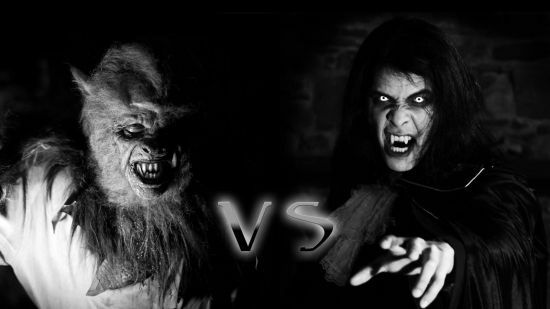 Joe’s independent film company, Wolfbain Productions, has officially launched the funding campaign for not one but two more installments in the Tales of Dracula saga, The Wolfman vs. Dracula and The Monster’s Revenge. They have raised the bar and have a goal of $150,000. This bigger budget will allow for such things as a sound stage and a bigger crew. The budget will also allow for not one but two legendary Universal Horror stars to help bring these films to an entirely new level. Donnie Dunagan, who appeared as Peter Von Frankenstein in the classic Son of Frankenstein (1939) has agreed to participate in these next two films. Check out his YouTube announcement for his official endorsement of the project! Janet Ann Gallow has also agreed to join the cast. 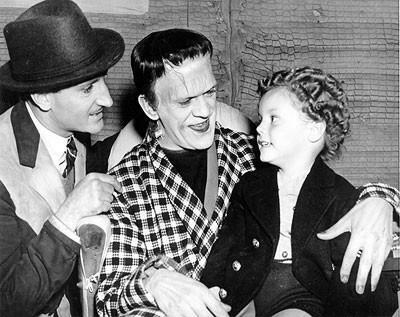 Janet starred as young Cloestine Hussman in Ghost of Frankenstein (1942).This is truly a once-in-a-lifetime opportunity to have these two actors as part of these films. They worked alongside the legendary Boris Karloff, Bela Lugosi and Lon Chaney Jr., not mention Basil Rathbone and Lionel Atwill. Now that we’re all excited, it’s time to make this dream a reality. The only way these next two films will happen will be if every monster kid out there jumps in and helps. Check out the official funding campaign website for all of the details and the perks you receive for donating, everything from lobby cards to scripts to tickets to the movie premiere. “I can’t thank all of you enough in helping spread the word to the fans out there around the world, and how much it means to me to be able to finish the trilogy,” said Joe, expressing his thanks for everyone’s support and spreading the word. Be sure to listen to episode 242 of the Monster Kid Radio podcast as Derek M. Koch talks with Donnie Dunagan about his upcoming involvement with Tales of Dracula. And if you still haven’t watched the first movie, go to Alpha Video and buy a copy today! Halloween is over and the month of October was a busy one. With my tribute to Bela Lugosi finished, it’s time to reflect on some cool events and highlight some talented friends. This was my second year attending as a guest and without a doubt, Craig Klotz knows how to put on a great show! From a fantastic selection of vendors to the incredibly talented artist alley, there was no excuse for anyone to leave without something in their hand and having a good time. I saw some familiar faces and met some new ones. So, as the horror classics always say, a good cast is worth repeating. Check out just a few of the great people there and prepare to expand your horizons! I was lucky to be seated next to the incredibly talented Steve Lightle. From his great art work at DC Comics on Legion of Super-Heroes to his amazing new work today, you’ll be blown away. Take the time to support his new online series, Justin Zane. I recommend the series and I’m anxiously waiting for more. And if you are in the Kansas City area and want to know more about the legendary Whizzo The Clown, he’s your man! I met CW Cooke at last year’s Comicon and just about every other cool event in the last year. If you haven’t read Solitary from Devil’s Due Entertainment, crawl out from under your rock and check it out. He’s got some great stuff brewing right now, so go to his Facebook page, CW Cooke Comix, and tell him Monster Movie Kid sent you. I met Ed back in May on Free Comic Book Day at Elite Comics. 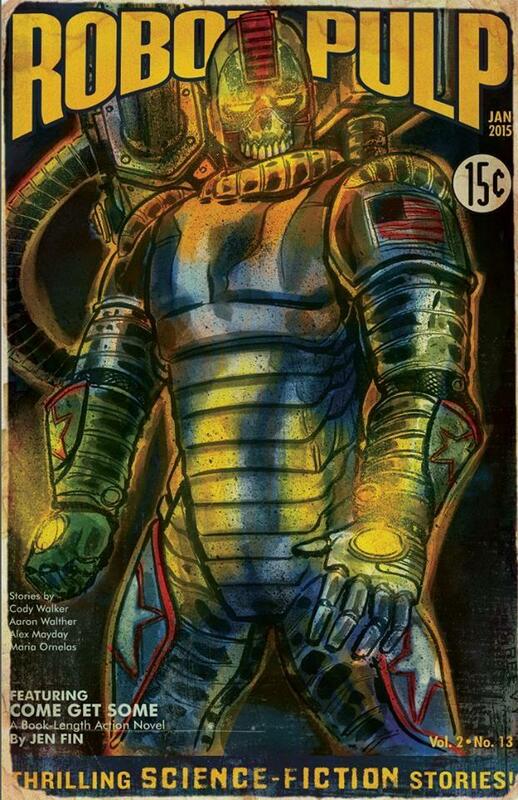 I fell in love with his old school Robot Pulp artwork and I think any good monster kid will as well. Check him out on Facebook and I know you’ll want to add a print to your collection. I have one myself just waiting for a frame. I already have a spot reserved on my office wall. And just as October started off with a bang, it ended on a high note. For the second year in a row, I attended the Screenland at the Symphony event at the Kauffman Center for the Performing Arts in downtown Kansas City. 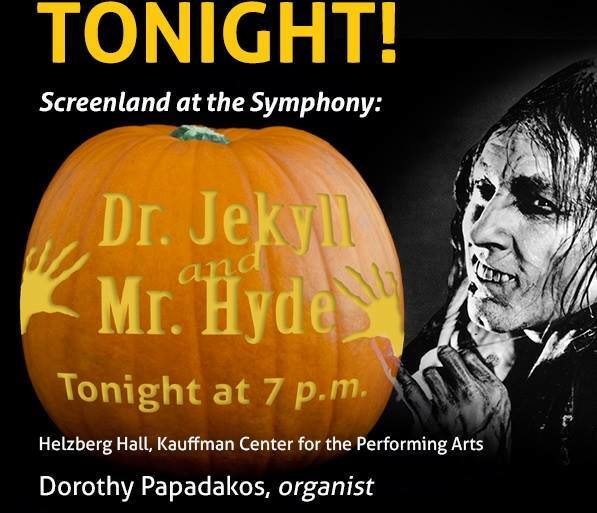 Organist Dorothy Papadakos was present once again with her own original score. This year, it was the silent horror classic, Dr. Jekyll and Mr. Hyde (1920). To say this was a fantastic evening would be a tremendous understatement. The passion and talent she displays greatly enhances these cinematic masterpieces. I can’t even describe the amazing sounds she created for the transformation sequence. I’m ready to buy my ticket for 2016! And while I wasn’t able to attend the latest Cinema a Go-Go event from The Retro Cocktail Hour, I did take the time to support Kansas Public Radio during their pledge drive. If you still haven’t listened to this great show, what are you waiting for? They are on several radio stations outside of Kansas and all of their shows are available for streaming or download.